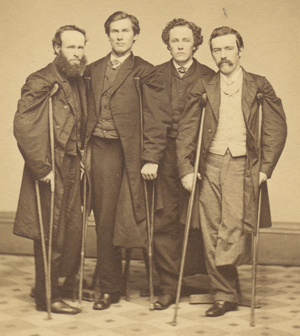 More than three million soldiers fought in the war from 1861-1865. More than half a million died, and almost as many were wounded but survived. 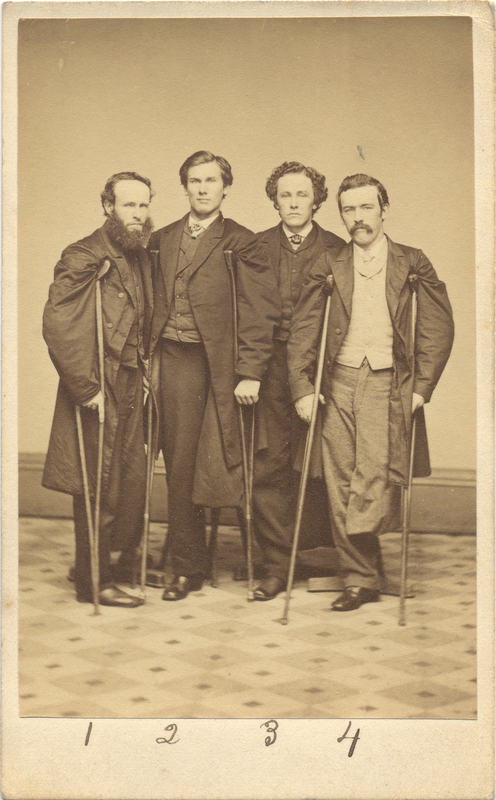 Hundreds of thousands were permanently disabled by battlefield injuries or surgery, which saved lives by sacrificing limbs. These men served as a symbol of the fractured nation and remained a stark reminder of the costs of the conflict for long after the war. Look for this symbol throughout the exhibition to take a closer look at Civil War-era texts, or view them all in the library of Digital Documents.